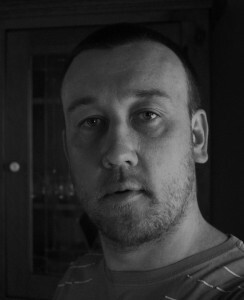 Tom Conyers, an award-winning filmmaker (The Caretaker – 2012), is also a playwright, painter, illustrator and photographer. He is the author of the novels ‘One Shot’, ‘Forever Human’ and Morse Code for Cats’ and the poetry and drawing collection ‘The Crime of Rhyme’. He lives in Melbourne, Australia. Probably the usual things: personal experiences; other artwork (books, theatre, films); dreams; contemporary goings-on (that weird article in the odd-spot in the paper); and just pure make-believe. I can’t NOT write. I’ve tried to quit believing I’d have a more enjoyable life without it, but I’ve accepted it’s just what I do. I used to throw myself into books without roughing them out first. But I realised that results in a hell of a lot of rewriting. So now I think about a book for a long time, till I’ve got all the essential elements worked out, then begin. This could be construed as an elaborate way to justify procrastination, but I have so many books on the go that, while some might be percolating in my head, there’ll be at least two others I’m actually writing. I work really hard at making all my characters have distinct voices and distinct traits and philosophies. I don’t act them out so much as write monologues in each character’s voice, and then take the bits I felt worked to sprinkle through my stories. Top and tail every scene you write. That way, your book will hopefully fly along, with the reader left to fill in the gaps. Otherwise, you can end up with a plodding, step-by-step story, that doesn’t leave much scope for the reader’s imagination. I tried the traditional publishing route for years. To begin with, I was ignored. Then I got form-letter rejections, and finally personalised rejections. It occurred to me if I waited another twenty years, that might even progress to an acceptance. But why wait? I love that being an Indie Author I control all the elements of my books, from deciding what they’ll be about and which order I’ll write them in, to seeking out editors, cover designers, and so on. It’s hard work but better than waiting round on someone else to decide you’re good enough. At some point you have to back yourself and then let the reader and time decide. The floodgates have opened up to who can publish which I think is a good thing. In the past, the gatekeepers had limited tastes and scope, curtailed by the need to make a buck. If you forage around now, you can find truly strange and personal books that would never have otherwise seen the light of day. Of course, that means there is a lot to trawl through. I hope the future of books is the emergence of new authors, writing in hitherto neglected genres, with unorthodox styles and ideas.